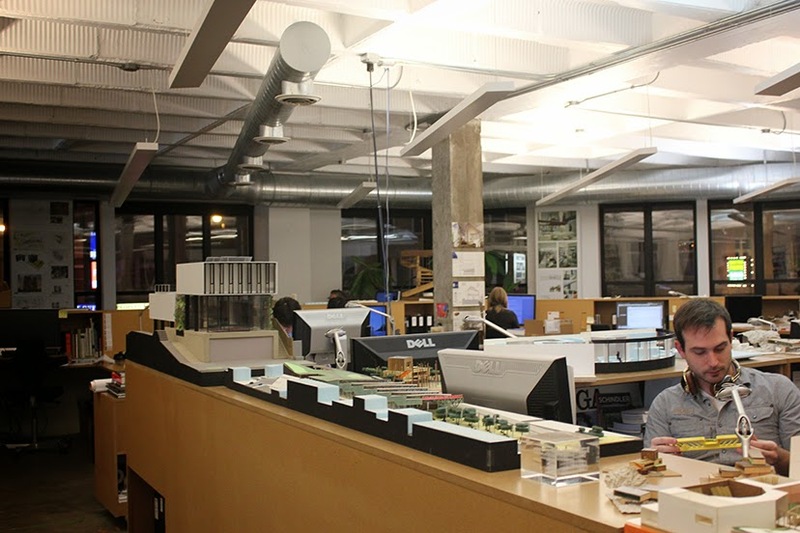 ArchitectureChicago PLUS: Studio/Gang on the Move: About to Enter its High Polish Period? Studio/Gang on the Move: About to Enter its High Polish Period? What could you do with this building? Or more to the point, what could Jeanne Gang and her team do? Gang is taking Studio/Gang Architects to another big leap, but this time it's not about a pathbreaking design - at least not yet - but jumping from the renter class to the ranks of ownership. On the heels of recent announcements of her firm being in the hunt for major new residential towers both in San Francisco and back at Chicago's Lakeshore East, which her sculpted Aqua tower put on the international map, DNAInfo Chicago's Alisa Hauser's reported last week that Gang's lawyer was appearing before the permit review committee of the Commission on Chicago Landmarks regarding his firm's retrofit of the building at 1520 W. Division as their new headquarters. Although Gang is proposing the building be landmarked, it wasn't even on the Commission's March agenda, but that didn't stop commission staff from recommending approving - with certain conditions - the architect's plans for making the structure a workable home. Last December the district in which both Gang's new and old homes are to be found - around a square with an entrance to the Blue Line CTA stop and centered by the Nelson Algren Fountain - was officially designated by the Chicago City Council as the “Polish Triangle”, but its central roll in the lives of Chicago's Polish citizens goes back nearly a century-and-a-half. Beginning just after the Great Fire of 1871, the three-way intersection was known as the “Polish Downtown”. 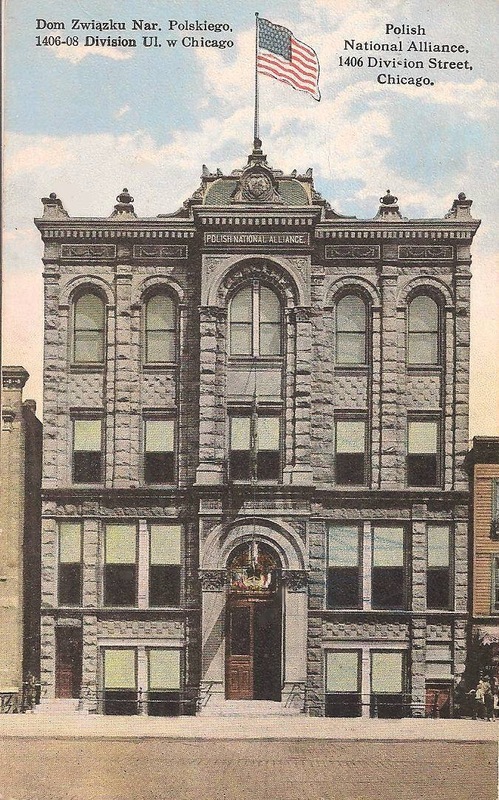 According to the Northwest Chicago Historical Society history, “Nearly every Polish undertaking of any consequence in the U.S. during that time either started or was directed from this tight-knight neighborhood.” With shops, theatres and large department stores (Wieboldt's and Goldblatt's), the district thrived as one of Chicago's many vibrant neighborhood commercial centers, until the lethal combination of the malling of America and white flight to the suburbs wiped them all out in late mid 20th-century. In addition to strong parishes such as St. Stanislaus Kostka and St. John Cantius, the district has also been home to important Polish institutions, including the Polish National Alliance, founded to aid in the fight for restoring Poland as an independent nation. In 1896, two lots west of Noble were purchased for $4,900, for the construction of the stately building you see above. It's now the site of a Shell gas station. 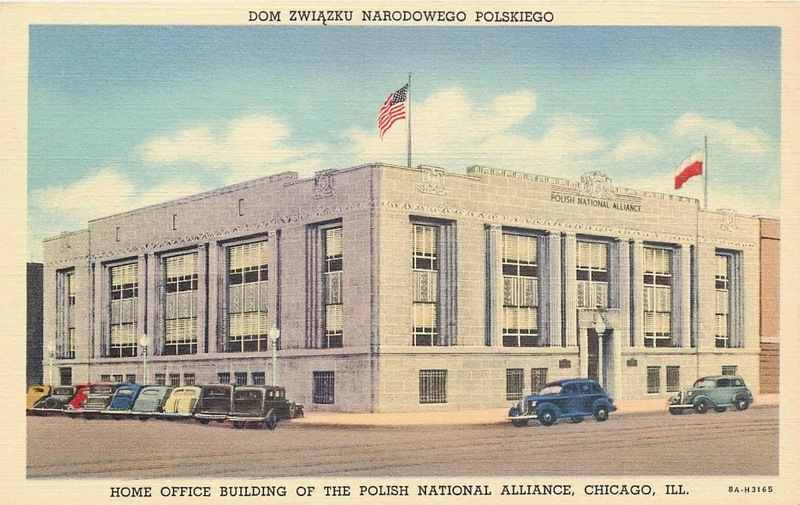 In 1938, the alliance moved to a new Art Deco styled building at 1520 West Division. 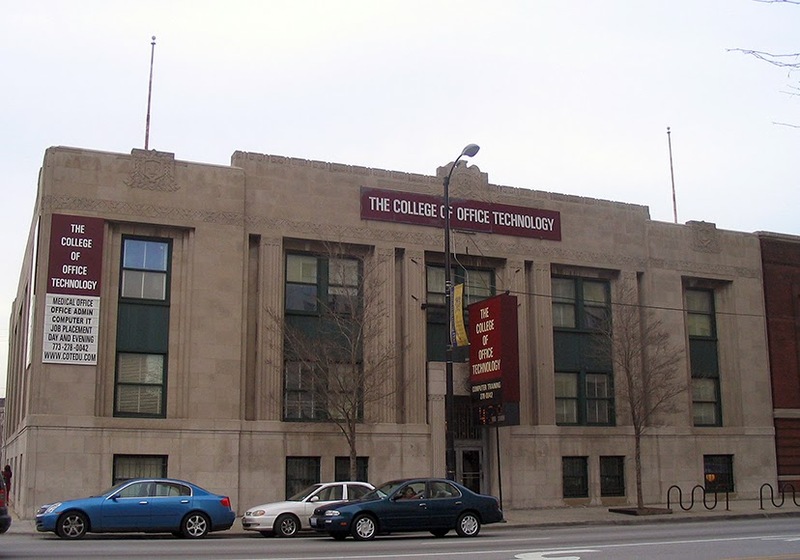 In 1976 the Alliance decamped to 6100 North Cicero, and most recently the structure was home to the College of Office Technology. Now it's Studio/Gang's turn. For over a decade, Studio Gang has grown from a small office to taking over the entire second floor of a simple two-story building on Ashland just north of Division at the corner of Milwaukee. 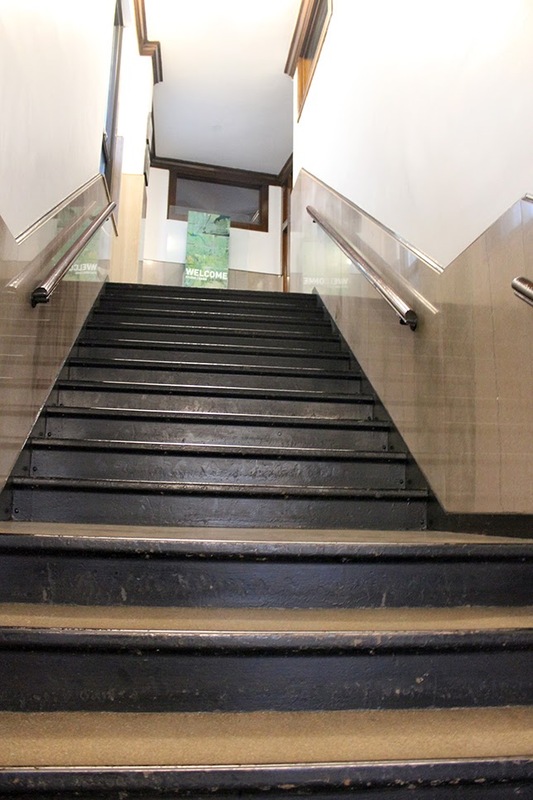 You walked up a long stair to reach a series of offices formerly occupied by a loan company. A more recent social services tenant left behind a Diego Rivera-like labor mural covering one of the walls. Private offices behind a sequence of glass doors surround a large open space for junior architects, stuffed with books, renderings and models. Another room served as a model shop, and there's a small outdoor patio used both as a recreational space and for testing materials against the weather. 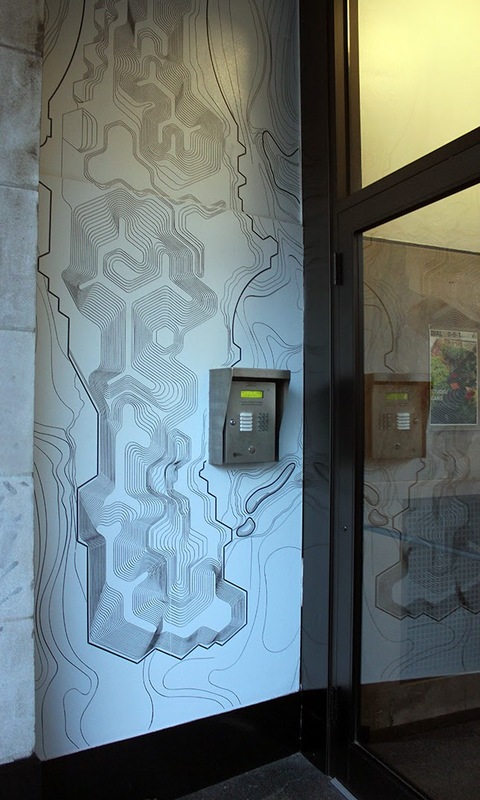 More recently, a graphic mapping the terrain of Northerly Island, another Gang project, was mounted next to the otherwise anonymous first-floor entrance. 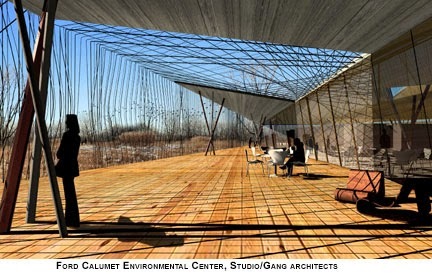 It was here that the distinctive designs that have made Gang globally renowned originated, from The Starlight Theater in Rockford, to the titanium shingle-clad Chinese American Service League, the still unbuilt Ford Calumet Environmental Center, to Aqua, the Columbia College Media Center, and, the WMS Clark Park boathouse. The walls are infused with the spirit of that creative history, but Hauser quotes Studio Gang's Harry Soenken as saying that, now up to 50 employees, the old offices are “bursting at the seams. We hope to have 65 people by the end of this year.” And to move into their new space shortly thereafter. 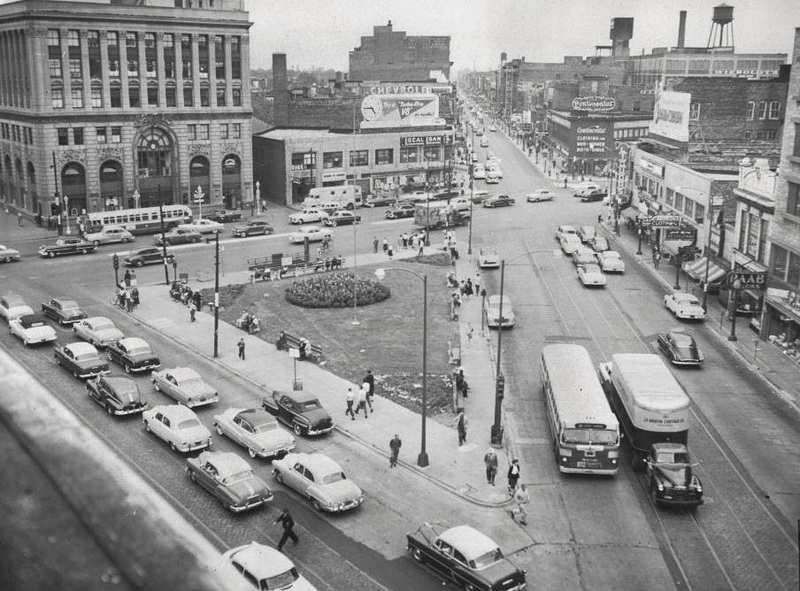 The Polish Triangle is also changing, in an increasingly upscale way. 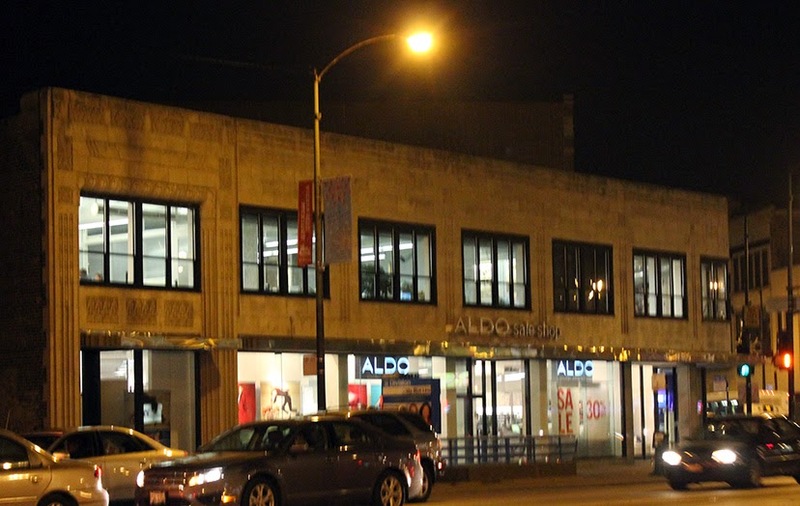 There's always been a shoe store beneath Gang's offices, but what used to be a Pay Less is now an Aldo - a far swankier line, even if it's an outlet. 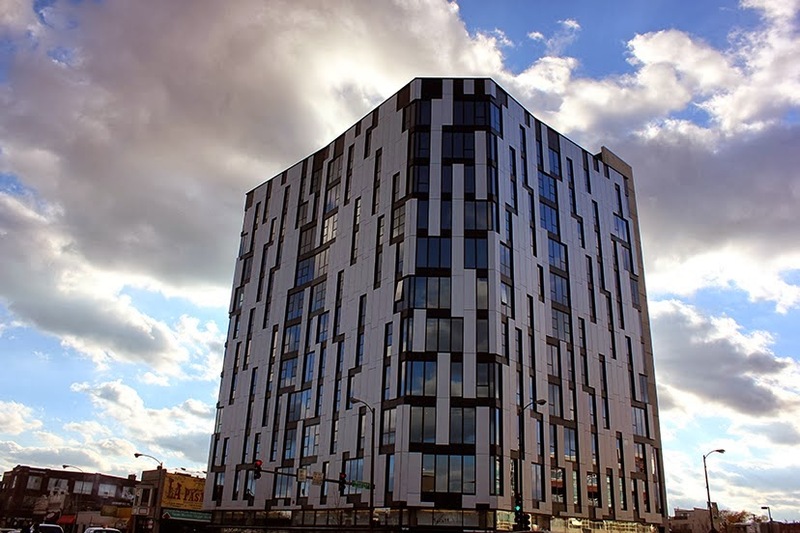 Last year, what was long a fast food joint was replaced by Wheeler Kearns' spiky 1611 West Division apartments. Nicknamed the “Tower of Pizza” after the site's former occupant, a Pizza Hut, Crain's is reporting the developer is already looking to cash in by selling off the property. With many of their employees walking to work, Studio/Gang wanted to stay in the neighborhood, and so they're moving little more than a block away. This time they get to retrofit an entire building to their needs and tastes. According to the Permit Review report, the plans include a one-story addition, setback on the rooftop, and replacement of the aging windows. As is the norm, staff recommended that all new exterior alterations try to match, as much as possible, the original materials. Staff approved lowering the basement window sills on Bosworth “only if needed.” Changes to signage are to be reviewed once completed. No renderings for the interiors have been released. It's unknown whether any of the original interiors will be protected by the landmark designation, but most often protection is confined to exterior elements. 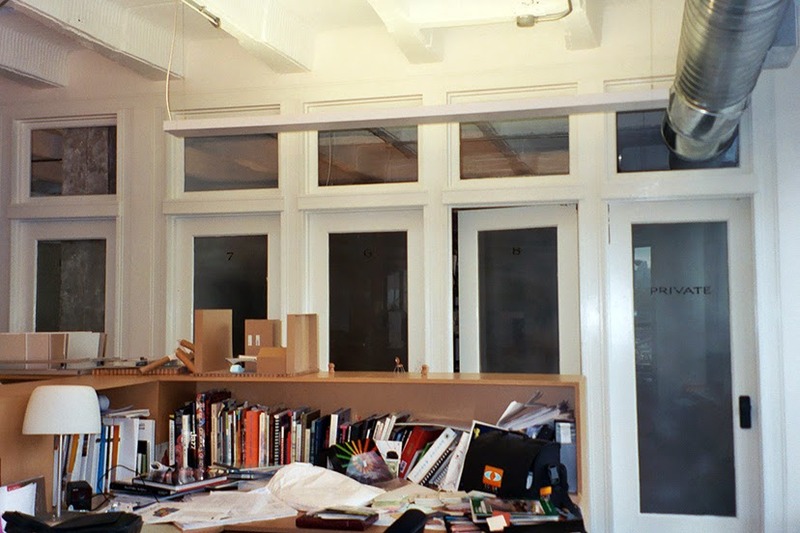 At their current offices, it was more the energy of the place than any radical design initiatives that energized the space. 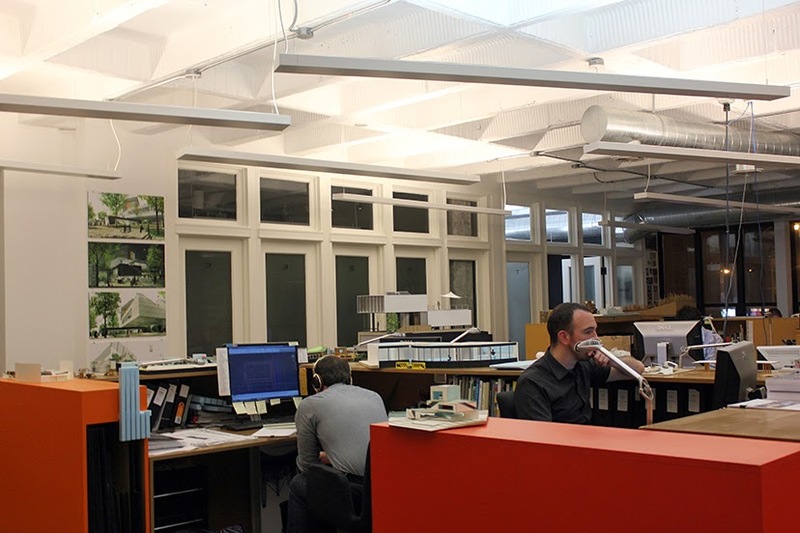 I've visited a number of architects' offices, and without exception they've been more work horses than show horses. Spartan or expressive, however, it's will interesting to be what Gang, Soenken and her team will come up with. Jeanne Gang Before Aqua - a look at her life and early work.